Munchery’s vendors claim the food delivery startup took advantage of them in its final hours, knowingly allowing them to continue making deliveries it couldn’t pay for. Earlier this week, Munchery surprised customers with an email announcing it would cease operations, effective immediately. It did not, however, notify any of its vendors of the news, according to the owners of several small San Francisco-based businesses, who told TechCrunch they are owed thousands in overdue Munchery payments. Charles Farriér, the owner of Crumble & Whisk Patisserie, is waiting on a $1,700 payment from Munchery. Lenore Estrada of Three Babes Bakeshop said she’s owed more than $20,000. Melissa Cohen of Salty Sweet Cookies, Jennifer Roy of Dandelion Chocolate and Jennifer Nguyen of Native Baking Co. are expecting a total of $16,417.50. Munchery was founded in 2010 by former chief executive officer Tri Tran and Conrad Chu, who have both since left the company. It had raised a total of $125 million in venture capital funding, reaching a valuation of $300 million at its peak. Supported by notable Silicon Valley investors, including Greycroft, Menlo Ventures and Sherpa Capital, the high-flying startup failed to deploy capital efficiently, then crumbled. Now, three days after its sudden announcement, several vendors are waiting anxiously for their final invoice checks, and say they weren’t notified of Munchery’s end, nor has the business responded to persistent requests for explanations. Munchery has not responded to multiple requests for comment from TechCrunch. As of Thursday morning, Munchery had not officially filed for bankruptcy in the Federal Court or in the Superior Court of San Francisco. Munchery chief executive officer James Beriker joined the startup in 2016. Days before Christmas, Farriér was told to slow down production of his artisan cheesecakes, which he had been servicing to Munchery for three years. Munchery provided prepared meals to residents in San Francisco, Los Angeles, Seattle and New York. In addition to preparing ingredients in-house in its South San Francisco headquarters, the startup also partnered with local businesses, like Crumble & Whisk, whose baked goods were included with its meals. 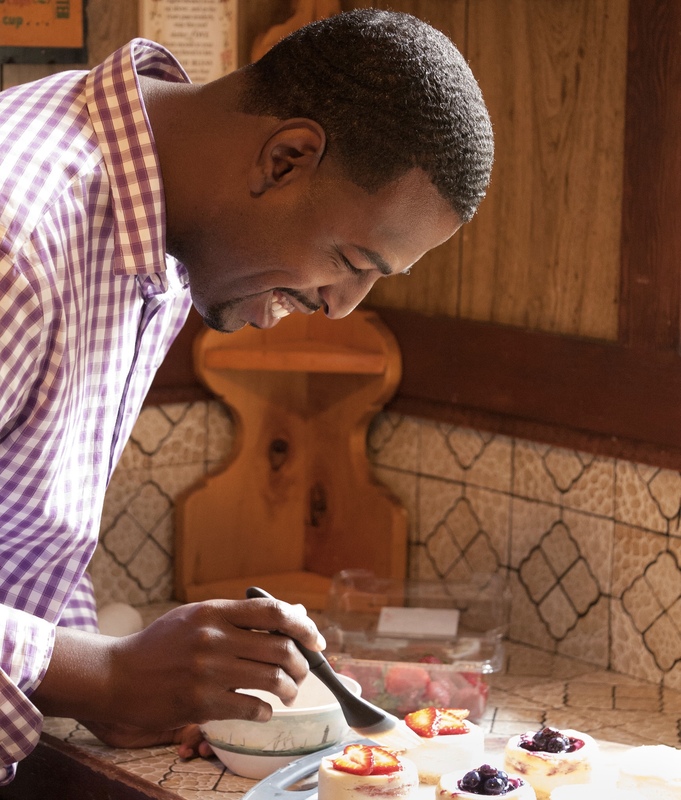 Unlike the other business owners TechCrunch spoke with, Farriér said he had caught on to Munchery’s financial struggles after multiple late payments, and was on the verge of ending his relationship with the business entirely. Little did he know they were just weeks away from an implosion, that, according to sources, even some Munchery employees weren’t aware of until 24 hours before the end of business announcement was sent to customers. Charles Farriér, the owner of San Francisco-based bakery Crumble & Whisk Patisserie. 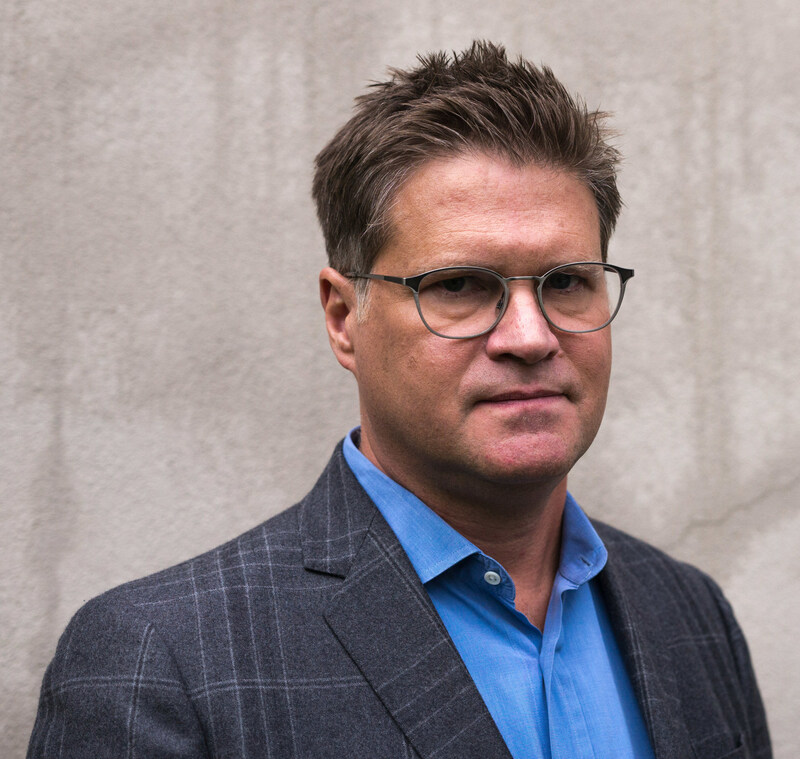 Beriker, who joined the startup as CEO in November 2016 after a four-year stint as the chief executive of recruitment firm Simply Hired, was missing from the signature of the email. Beriker has gone dark, opting not to respond to media requests, as well as emails and phone calls from vendors looking for payment. “Munchery ran into a wall rather than planning to shut down in an orderly fashion,” Munchery vendor Lenore Estrada told TechCrunch. When Farriér heard the news on Monday, he went to Munchery’s headquarters seeking his final payment. To his surprise, no one, except another aggravated vendor, was there. The $1,700 Farriér is owed may be equivalent to the cost of a dinner with colleagues for some Silicon Valley entrepreneurs, but for him, it’s meant being forced to take out a loan to pay his employees. Farriér has worked with a number of tech-enabled food delivery platforms, including Good Eggs and Sprig, which similarly went out of business in May 2017. Contrary to how Munchery has handled its sudden ending, however, Sprig, he said, ensured all vendors were paid the same day the startup notified them that it would cease operations. Estrada of Three Babes Bakeshop said she’s heard nothing from Munchery about its shutdown or the $20,000 owed her. Cohen, Roy and Nguyen similarly told TechCrunch they’ve attempted to reach out to Munchery, to no avail. 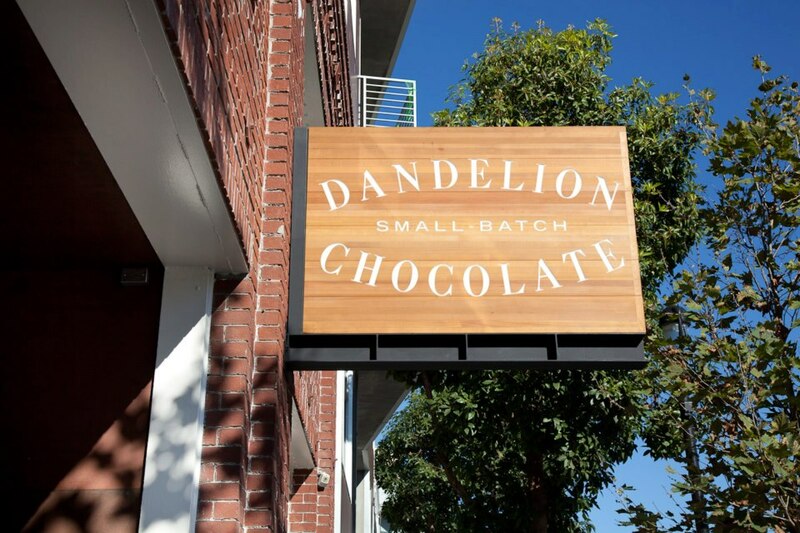 Dandelion Chocolate owner Jennifer Roy says Munchery owes her $6,000. Estrada and Nguyen said Munchery had standing orders with both Three Babes Bakery and Native Baking Co. Three Babes had planned to make their delivery Tuesday, one day after Munchery announced they were going out of business. Munchery never canceled the standing order. Native Baking Co. completed their standing order delivery Monday morning, the same day Munchery said it would cease operations. Nguyen ultimately learned of Munchery’s shut down Tuesday morning from an article in the San Francisco Chronicle. Munchery, as mentioned, had raised roughly $125 million in VC funding across rounds that closed in 2013, 2014 and 2015. Munchery didn’t raise any capital under Beriker, who was appointed amid reports the business had been struggling to improve its margins, aside from a $5 million financing in 2017. According to a 2016 report from Bloomberg, Munchery was making way too much food — much of which was thrown out — and was spending “hundreds of thousands of dollars” distributing discount flyers. For what it’s worth, Munchery told TechCrunch at the time of those reports that its “customer base and revenue [were] growing” and that it was profitable in San Francisco and “contribution margin positive” in its three other markets. “This feels like these guys locked the doors and ran off to another country,” Munchery vendor Jennifer Nguyen told TechCrunch. Why Munchery and CEO James Beriker decided not to communicate its demise with vendors is unclear, as is what ultimately forced it to shutter so suddenly. What is clear is that Munchery ran into a brick wall and fast, left without enough cash to settle even its smallest debts. Of the five businesses that spoke to TechCrunch, Munchery owes nearly $40,000 in overdue bills. What’s next? Munchery will inevitably officially file for bankruptcy and the small business owners — collateral damage of a startup that failed to overcome the brutal economics of the central kitchen model — will go without payment.